Isolux Corsán's management of public services and infrastructures under concessionreflects a business model whose proven efficiency meets public-sector requirements throughout the world. Manages 6,811 kilometers of high-voltage power transmission lines. 326 MW in operations and development. More than 421 GWh of electricity in 2014. Isolux Corsán is one of the leading companies in Spain in developing and operating public and private carparks. The group has 30,000 spaces in 57 carparks located in 29 Spanish towns. The project was awarded by the National Electric Energy Agency of Brazil (ANEEL). 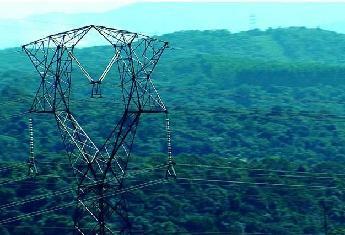 This contract also includes the associated substation in Nova Iguaçu (530/345 kV and 500/138 kV, 1,800 MVA of transformation). The plant generates electricity to power about 12,000 inhabitants. Jauru includes the construction and concession of 940 km of transmission lines of 230 kV. First large solar PV project in Latin America.